Long day at work, so quick post… here’s the other bicycle I waited ages for while on the Japanese Covered Bridge in Hoi An. So, I’m back from my trip to Marrakech, London and Amsterdam. I went on an awesome food tour in Marrakech I’m looking forward to telling you about. For now though, we’ve got another picture from Vietnam. 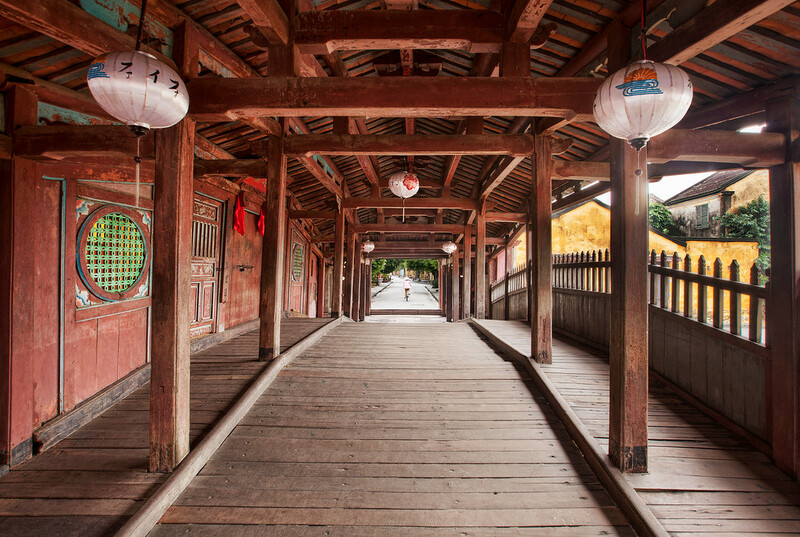 This is the view from inside the Japanese covered bridge in Hoi An. I waited ages to catch a bike passing across the far end. 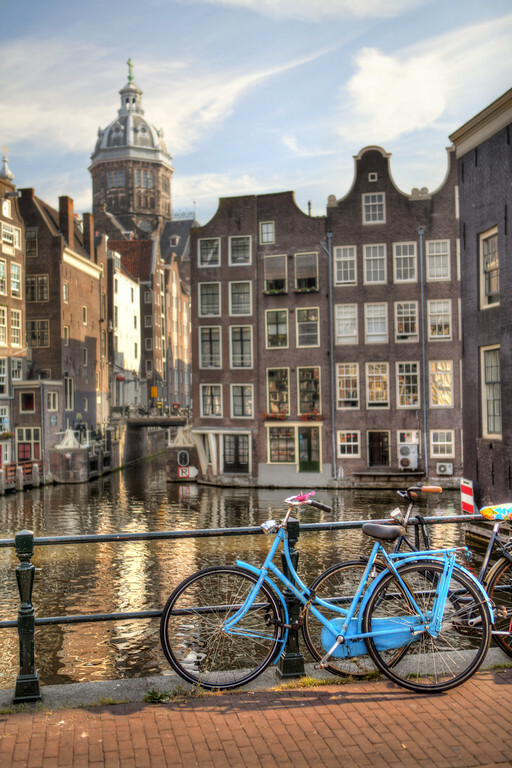 In my house in Bermuda I have a giant print of one of my first photos, taken in Amsterdam about 7 years ago. It’s looking a little worn out and I keep thinking I’d like to replace it, but can’t decide on a photo. So, I decided I could replace it with an up to date picture of the same place. So, I found the spot. It wasn’t anywhere near where I thought it was but I stumbled upon it within an hour of arriving. Unfortunately, things have changed, there were loads of tables stacked up blocking my view. I kept wandering and spotted this blue bike looking back towards the same canal junction that is up on my wall.